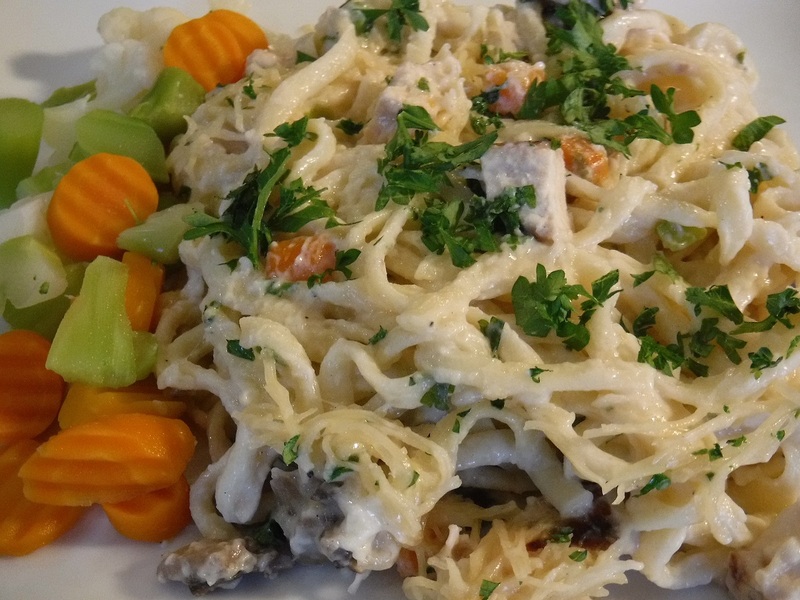 Alfredo sauce is a white sauce, like a Béchamel sauce that has been seasoned and has Parmigiano cheese added to it. 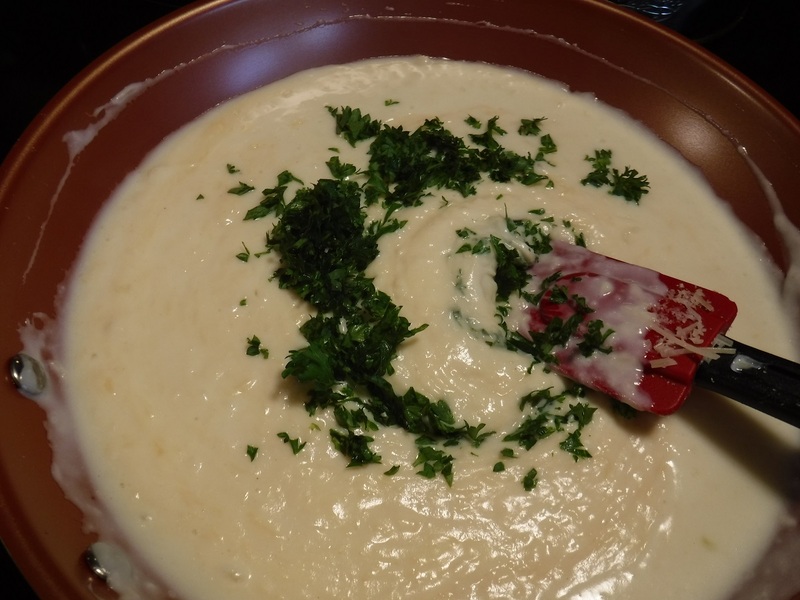 Béchamel sauce was originally from the Italian cuisine it is now part of the French cuisine as well and is considered one of the ”mother sauces.”. The creation of Alfredo sauce is credited to Alfredo Di Lelio who served the sauce in his restaurant in Rome, Italy. 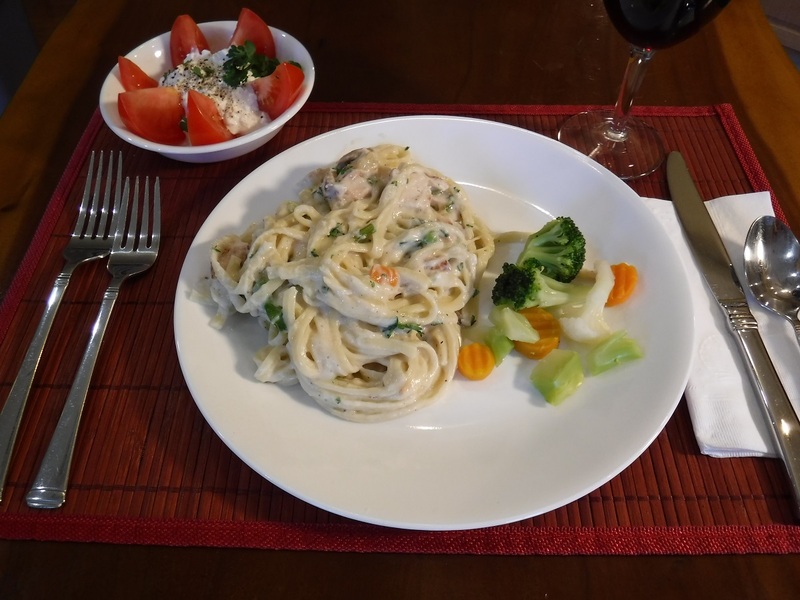 In its simplest form, Alfredo sauce is butter melted on the pasta then cheese is added to melt into the butter and pasta forming a creamy coating. 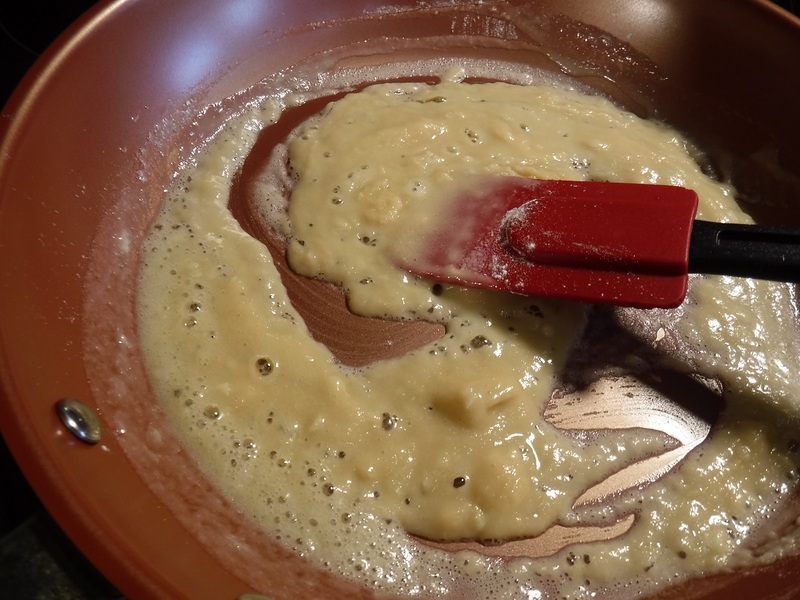 In this version I make a seasoned roux and then add milk and cook until the sauce is thickened. 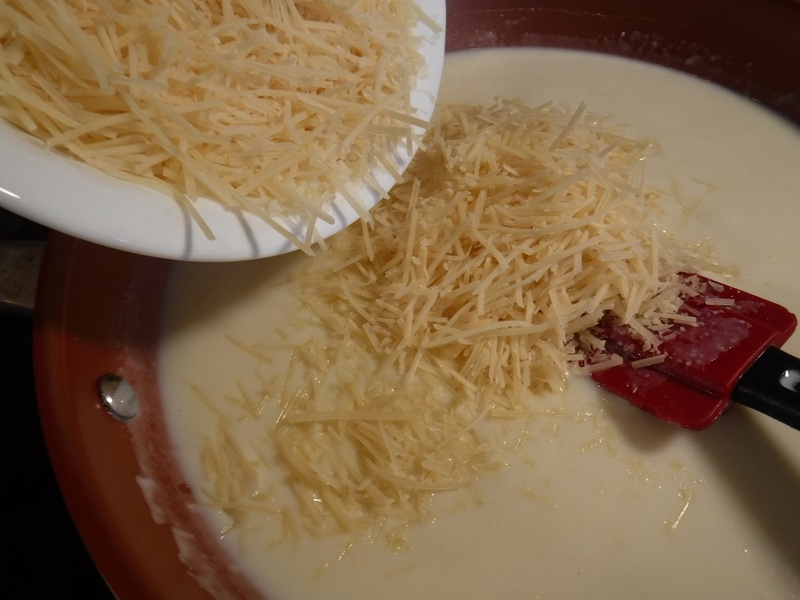 I then add the cheese melting it into and combining with the sauce. Some would say that cream must be used to make a proper Alfredo sauce. I usually have butter, flour, milk and most often Parmigiano cheese in the refrigerator. Not so with cream so quite often I will make things that traditionally call for cream with milk instead. That works just fine in this recipe. Melt butter in a medium saucepan over medium heat. 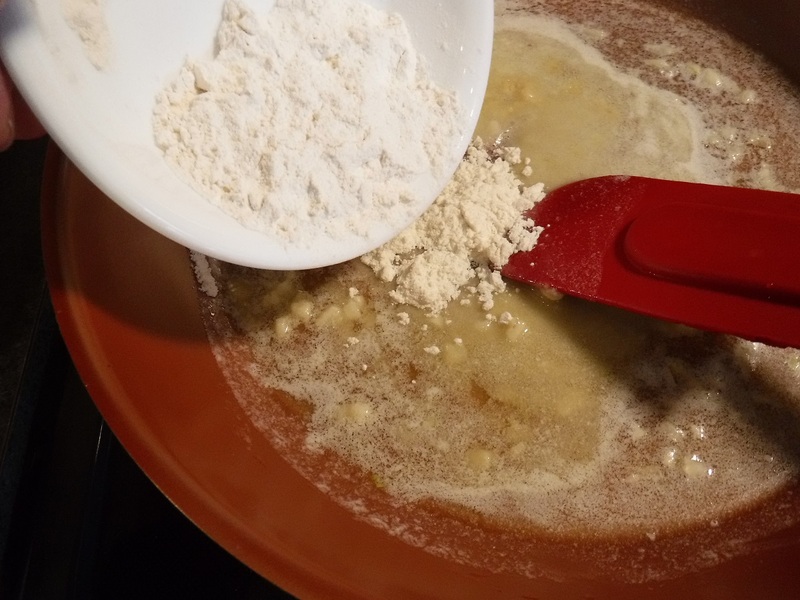 Add flour and garlic, stir and cook to make a roux. 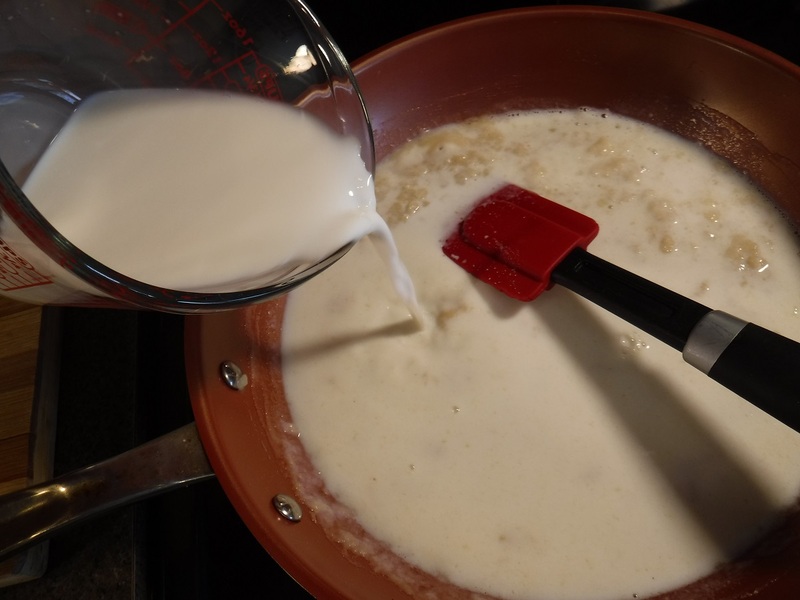 Add milk, stir and simmer until sauce thickens to a cream like consistancy, about 5 minutes. Add cheese and stir and blend quickly, heating through. When cheese is combined, add chopped parsley, stir to combine. Pour over cooked pasta and toss to coat pasta. To expand the use of Alfredo sauce, add vegetables, such as steamed broccoli, asparagus or cooked, frozen peas or peas-	and-carrots. Changing the added vegetable will make an entirely new dish. Whenever I am serving a crowd and little or no leftovers are expected I use all of the sauce from this recipe to a pound of cooked pasta. If I am feeding just a few and leftovers are expected, I hold back a part of the sauce to add back to the pasta with a bit of milk the next day. It seems to me that the pasta absorbs liquid from the sauce overnight making it very thick the next day. The sauce thickens rapidly on standing so avoid making it too far in advance. Unused sauce can be stored for a day or so in the refrigerator and for several weeks in a tightly closed container in the freezer.